As much as we might try to deny, we are in the midst of cold and flu season. With the hustle and bustle of being fully prepared for the holidays, it is easy to feel under the weather once you get a chance to finally relax. Colds and illnesses are passed between coworkers, family and friends…and now you’ve got it too. But have no fear, we’ve rounded up some spots around San Diego where you can find nourishing, vitamin-packed and wholesome meals that will have you feeling like new in no time. A great source of relief from flu symptoms is a hot, spicy broth-based soup, like many of the dishes you can find at Tajima. 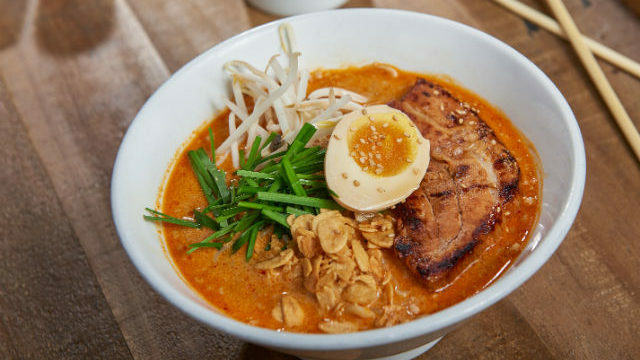 The Spicy Sesame Ramen, a tonkotsu soup base mixed with sesame paste, spicy ground pork, bean sprouts, chicken or pork chashu, chives, half ramen egg and fried garlic, is bursting with nutrients and soothing for any sore or scratchy throat. Spices like those found in this dish have been shown to have strong antiviral properties, but if you’re not a fan of the heat, Tajima also has less spicy ramen bowls! With locations in Hillcrest, North Park, Kearny Mesa, East Village and on Convoy Street, the relief of ramen is never too far away. When the common cold or seasonal allergies have got the best of you, sometimes a plate of comfort food is all that’s needed to get you back on your feet. The Smoking Gun, in San Diego’s Gaslamp District, is a revolutionary spin on the neighborhood bar and restaurant serving southern-influenced dishes and inventive cocktails. While we’re not recommending consuming drinks when you’re not feeling up to par, check out The Smoking Gun’s appetizing food menu. Try the Roasted Corn & Green Chili Chowder, served with cornbread croutons, or the Baked Mac N Cheese. Another favorite is their Homemade Stuffing smothered in scratch made mushroom gravy. Let the comfort of any of these palatable plates help you on the road to recovery. When we mention the name Barrel Republic, you might be wondering who in their right mind would want to sample beer while they’re feeling under the weather? But at Barrel Republic’s Oceanside and Carlsbad locations, they also have tasty food menus with items including nutrient-packed salads and warming soups. Sip on the Charred Jalapeno Tomato & Avocado Soup while the spice clears up any stuffy nose or head congestion. The soup broth will also help sooth a sore throat! Highly recommended is the Ironman Salad, made with spinach, kale, raw almonds, ground flaxseed, quinoa, cranraisins, strawberries and a turmeric-maple vinaigrette. Turmeric is a popular remedy with strong anti-inflammatory and anti-oxidant properties. Every ingredient in this bowl will help nourish you and get you feeling back to your old self in no time! If you’re starting to feel even the slightest symptoms of sickness, head up to Park 101 in Carlsbad for an antioxidant boost that will rock your world. Stop by their Deli & Dough counter, open from 7 a.m. to 3 p.m. Sunday through Thursday, and until 6 p.m. on both Friday and Saturday to discover the tasty and filling acai bowls. 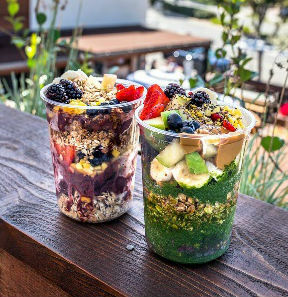 You can order the Ponto Bowl, a house base blend made with acai, orange juice, honey and banana, topped with seasonal berries, banana, mango, apple, granola and honey, or have all ingredients blended together to make the Acai Smoothie. To get your fix of fruits and greens, try the Power Ponto Bowl with spinach, kale, peanut butter, banana, mango, apple, granola, honey, flax and chia seeds, and bee pollen. These power-packed and hearty bowls are sure to help rid you of any impending illness. 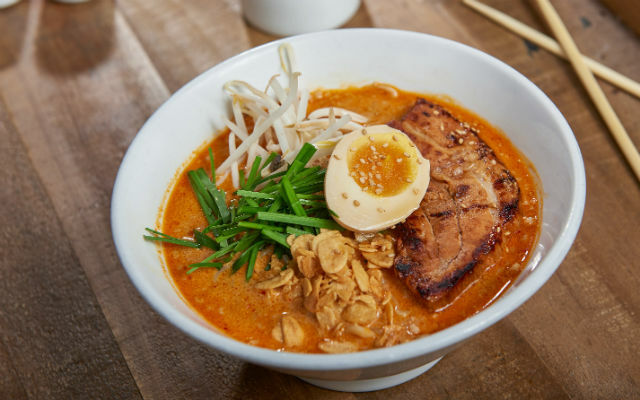 Located within the Village at Pacific Highlands Ranch, Wokou Ramen is a delicious noodle and ramen house with plenty of menu items to satisfy your hunger. Many of the dishes also consist of ingredients that sooth and heal, which makes Wokou a great place to eat if you’re not feeling 100 percent. If veggies are what your body needs, get the gluten-free and vegetarian Pan-Fried Vegetables with tofu, broccoli, honji maiji mushroom, red onion, garlic, carrots and tamari. For something with a little more sustenance, order the Black Garlic ramen bowl made with tonkotsu broth, arabiki ground chicken, miso, menma, green onion, nori, soft egg and toasted garlic chips. The combination of the tonkotsu broth and other additions make this meal mouthwatering and wholesome. Jessica Bradford is a San Diego-area writer and food enthusiast.